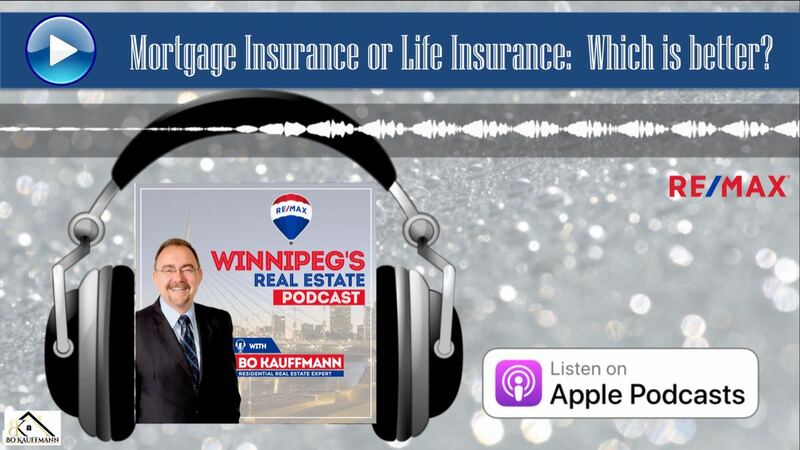 Bo Kauffmann: Today we’re going to talk about is the difference between mortgage insurance and life insurance. This has nothing to do with the property itself. Property insurance or CMHC, Canada mortgage and housing. If you’re buying a house and putting less than 20% down, you need to get CMHC. That’s not what we’re talking about. What we’re talking about today is a a bank offered product called mortgage insurance. And how does it compare to a personal or a life insurance That’s sad. Let’s discuss. All right, so I’m here with Thomas Johnson, a financial adviser for cascade financial, and we’ve got to discuss the differences between mortgage insurance and what I call life insurance. He calls it personal insurance. So, uh, here we go. Thomas, welcome. Thank you. Go. Okay, so why don’t you tell us a little bit about what a mortgage insurance. Thomas Johnson: Yes. Mortgage insurance who really is a, at its core, it’s always a life insurance policy. And then there’s usually one extra insurance type that you can add onto it, uh, that either disability insurance, critical illness or loss of employment. Uh, it’s a kind of thing that comes standard when you go into a bank or when you get with a mortgage broker, it’s a requirement. It’s something we have to offer to you as part of the, uh, the lending deal, just because the federal government realizes the importance of having mortgages insured against death, disability, or illness. So that’s what mortgage insurance is in a nutshell. Thomas Johnson: No, it is 100% elective. And that’s a common misconception. A lot of people think they have to take the insurance to get the, uh, get the mortgage, but it is 100% elective and you still have to apply and qualify. Thomas Johnson: mortgage insurance Really, there’s only two that I can think of. Uh, the first being is that it’s simple and easy to apply for it because you’re already at a desk, you are already there with your mortgage broker or your banker. The papers are right in front of you and it doesn’t require a separate meeting. And somebody like me, uh, so that makes it easy. And then also it’s easier to apply for it. And I asked her so that, uh, just because the only ask a handful of questions, you might face three, four, or five questions. Basically. Are you a smoker Yes or no And Are you suffering any serious health problems Yes or no And if the answer no to the second one, then you get a policy in your hands. Uh, but the asterisk we’ll talk about in a little bit, it doesn’t necessarily mean that you are going to be covered. Bo Kauffmann: Right. And actually we’ll get right into that right now because that’s one of the drawbacks for mortgage insurance as I understand it. Thomas Johnson: Absolutely. There’s a, there’s a number of drawbacks. The, the biggest one in the big killer for me is really that you are often not insured, are guaranteed to be insured, um, simply because the underwriter doesn’t look at it until the time of claim. So the point in time when you were diagnosed with cancer, the point in time when you hurting, unable to work, uh, the point in time where you’re passed away, he’s no longer defend yourself. That’s the point in time. Somebody actually looks at your case and decides whether or not you would be covered. So in a nightmare scenario, you’ve got a widow or widower, um, who now has to go battling insurance company over a claim payout for, uh, for the mortgage insurance, uh, after their spouse is long gone. Um, because it’s now being reviewed at that point in time. Bo Kauffmann: Okay. So just to be clear, cause this, this really blows my mind sometimes. I’ve heard this before. I actually had a friend who went through this is uh, his mother had mortgage insurance, she was a widow. She passed away and my friends family ended up fighting the bank to get the payout. So just because you’ve due to fully paid into it for years doesn’t mean you’re going to get the payout when you expect them. Thomas Johnson: Correct. It is not guaranteed. You are paying the premiums. And the only point in time when you find out whether or not you’re actually covered is the time when you need it the most. Thomas Johnson: Uh, they’re usually obligated to pay back what premiums you paid into it. So that’s the minimum amount that you’ll get back. Um, for the life insurance side of things. If it’s a disability claim and you’re denied, uh, it doesn’t mean you get your money back. Thomas Johnson: Basically, personal insurance is the alternative. You come and you see somebody who’s a licensed insurance advisor like myself, um, they walk you through all the options available in the market and you get to pick and choose to take a plan that works best for you. So if you want life insurance, you take life insurance. If you don’t get them, if you want disability, you can take it. If you want critical, then, unless you can take it totally up to you and how you customize it, it can be built around your overall financial plan. So if you want more than just enough insurance to pay off your mortgage, if you want enough to cover off your car loan, if you want to pay for your kid’s school, if you want to provide for your spouse so they have time to grieve. If he might have state taxes, you can build a policy or policies that fit that entire goal instead of just being pigeonholed into the mortgage. Windmill. Thomas Johnson: The bank gets the money, the payout is always described as the exact amount to pay off the bank. The money goes straight to the bank and the mortgage is now free and clear when it’s a personal insurance policy. On the other hand, the money goes to your beneficiary. They can choose to pay off the mortgage or not and they always get the exact face amount on the policy. So if you’ve paid off $100,000 on your mortgage balance, you’ve now created $100,000 more for your state. Whereas if you’ve paid off $100,000 and you’ve got the mortgage insurance, that just means the insurance company’s on the hook for less money to the bank. Bo Kauffmann: Right. Okay. And with personal insurance, as you said, you get the money, you decide what to do with it. 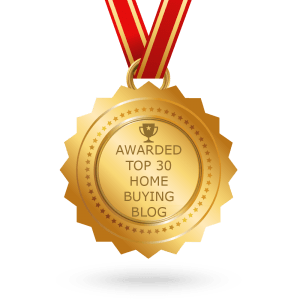 So if you have no mortgage or if you have a low mortgage, you may decide to keep that and use that money to pay off other higher debts are high or low. Bo Kauffmann: so they’re both covered for roughly the same price as one of them under mortgage insurance with higher coverage amount with higher coverage a month. Okay. All right. So from what I see, the biggest disadvantages that people uh, to get personal insurance, it’s an extra step for somebody to go through. Thomas Johnson: Exactly. They basically, if they come to my office, we have a meeting, it’s usually somewhere between half an hour to an hour. Uh, we put in an application to go through a questionnaire, a it because it is personal insurance in the event that they are applying for a certain dollar amount or if they have a riskier health history, they may be required to see a nurse, that nurse will take blood and make them peanut cup, blood pressure, that sort of thing. And uh, those results get sent off to an underwriter and I can take a couple of weeks to get a decision back. Thomas Johnson: they can cancel it at any point in time. There’s no requirement that you hold onto it for a certain period of time. There’s no fee for canceling. Basically if you cancel within the first three months, the person who sold it to you gets charged money for you’re cancelling early, but there’s no fee to you as the uh, as a consumer. Thomas Johnson: you can always decrease it, no questions asked. However, if you do want to increase it and get more coverage down the road, you either need to buy a rider up front that allows you to do so, or you have to come back and apply for new insurance. Thomas Johnson: Uh, you can find me online at www.cascadefinancialgroup.com. You can call me at (204) 837-1960 or you can stop by my office and say hi at 1730 corydon avenue. Thomas Johnson: Thanks for having me. 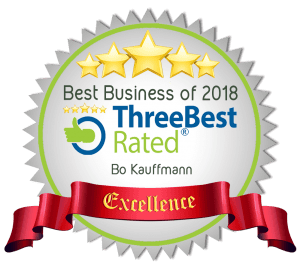 Bo Kauffmann: This has been Bo Kauffmann of remax performance realty. I do hope you’ve enjoyed this presentation. If you’re looking to buy or sell a house or a condo in Winnipeg, please give me a call anytime. I’m here to help. My direct cell is (204) 333-2202 or my email is Boknowshomes @gmail.com until next time, bye bye. Read also: Closing Costs when buying a home in Winnipeg.